Ministry of Propaganda - 05/Sep/2006: "Holiday Is Over"
On Monday we decided to take it easy after the fairly long walk along the Kennet and Avon Canal on Sunday. 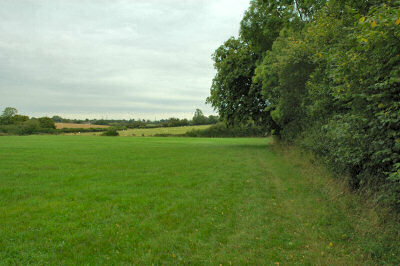 We stayed at my flat in the morning and then drove to Oaksey in the afternoon for a shorter walk. The description had promised 'peace and solitude' and a 'Cotswold feel'. Unfortunately most of the walking was fairly bland over boring fields with not much to see. It was also far from quiet as there were a lot of small airplanes and helicopters flying around, I guess from a flying school at Kemble airport (we had walked from Oaksey to Kemble via Poole Keynes and back). At least we had a nice dinner at Connie's Chinese Restaurant. Today was much better: Our original plan was to stop in Bath before driving to Bristol Airport in the afternoon. On the way to Bath we passed Dyrham and in a quick decision changed our plans to visit Dyrham Park instead. 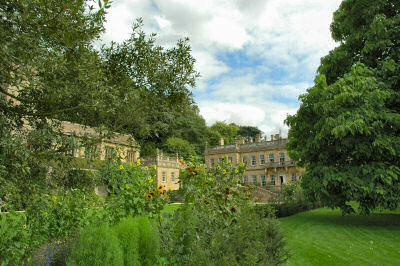 I had visited Dyrham Park previously and thought my parents would like it. We joined a guided walk, which turned out to be an excellent choice. The guides knew the park very well and gave us a lot of interesting background and explanations. 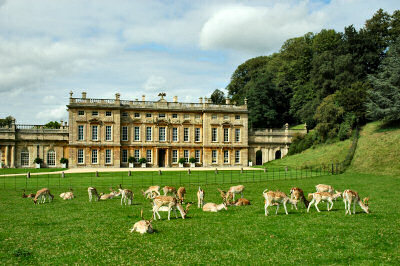 We were also very lucky as the deer were grazing right in front of Dyrham House, apparantly a very rare occurence. After the walk we had a quick look around the gardens followed by a nice lunch at the restaurant. Later in the afternoon we returned to the car to drive over to Bristol International Airport. After a very nice long weekend it was time to say good bye. With my recent redundancy from Intel it was nice having them here for some moral support and a short holiday to take my mind of it for a moment. Saying good bye was quite hard, but now it's time to face reality and get going. Now that they have left my job hunt will start full time tomorrow. Wish me luck!